A large piece of lace design that can be used in many ways. You can use it to stamp, color, emboss, crop out shapes, and do many more techniques. 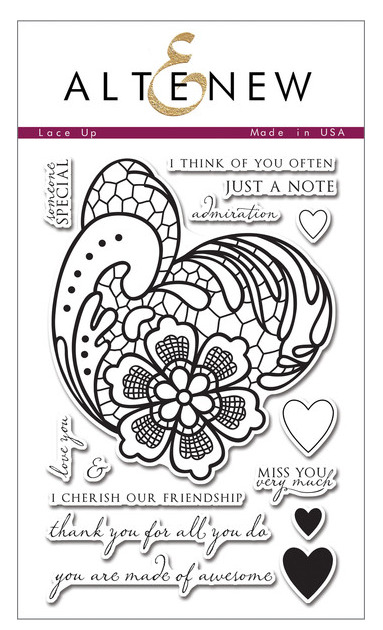 The lace is complemented with a set of hearts and some sentiments.This is a 4" x 6" clear stamp set containing 15 individual stamps made from high quality photopolymer.The lace is 3.75" wide and 4 1/8" tall.